I remember the doors opening & closing by themselves all the time. I like to freak my kids out with stories about that house! I forgot about that! There were so many other things about that house that were so spooky! I read the Amityville Horror when I was a teen and it freaked me out. Living in a house like it would be even worse. I wonder what it’s like in the house now? Have you ever gone back for a visit? My sister went back a few years ago and said the people completely renovated it and it “felt fine.” She showed them some quirky stuff but it was definitely a different house than when I was there. Yes, the Amityville horror terrified me for years! I enjoy “old” houses and as a kid would scrounge around in any empty ones I could find… didn’t know the word “Trespasser” back then. One was haunted and had the bestest stuff in it, but nobody, NOBODY ever took anything out of the haunted house. If they did, they returned it really fast. My folks rented and it was always fun to discover “finds” in the attic and basement which had been overlooked. I can’t imagine taking anything out of one of those houses – I’d have expected the haunting to have followed you then! I stayed at a hotel in San Antonio that was rumored to be haunted. Nothing happened! I was so disappointed. The key is to make friends with the visitors! My sister’s family finally left their haunted house a couple of years ago. At first, they took to the same opinion as Old Things R New; embracing “the others” as extended family (making friends). That was the wrong thing to do… My sister’s daughter became very ill, the doctors could find no reason. (This is called Oppression). Then there were a serious of accidents with plates flying or things falling that barely missed the kids. Finally, the littlest one was trapped in his bedroom–something moved his huge dresser in front of the door, he couldn’t get out and no one could get in. The family finally had a friend come to do a blessing–she was supposedly trained by her Native American relatives. Well, she was not prepared! She ended up in the hospital in critical care. The family moved out and squatters moved in. Turns out the wife was extremely ill while living there. I don’t know what happened to the squatters, but my sister’s daughter’s health improved after moving out of the house. 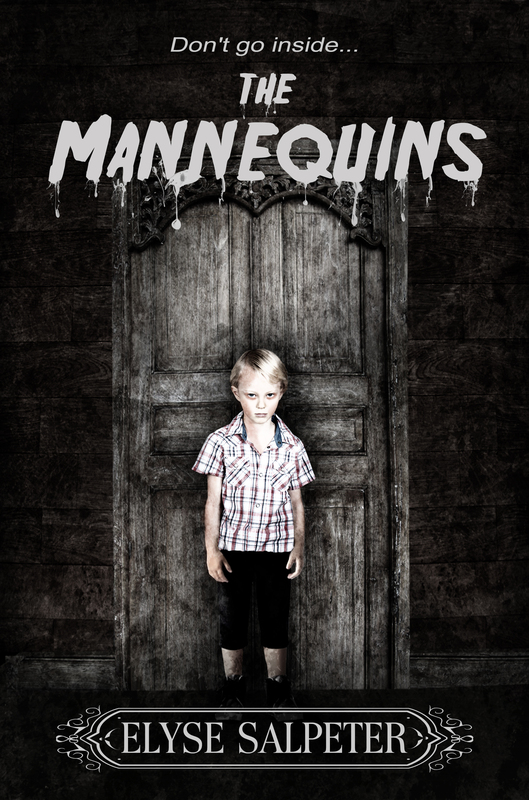 Everyone thinks it would be fun to live in a haunted house…until they do. Having your children traumatized and scratched or having your own health slowly drained away is not fun. I agree – it isn’t always a fun thing… I don’t think any of us got sick, but I can imagine that happening. Glad your sister’s family is finally okay! Some people during this time of year would cheer at the thought of a real haunted house. Not me. GET ME OUT OF THERE…. I have a hard time watching anything scary – even American Horror Story (which I have yet to see)… You’re a brave soul. Good luck with the book sales! I hope LOADS of people buy them!!! I always get “visits” at old hotels. I’ve never figured out the hotel thing with earth bound spirits. My only guess is that stay because they get lots of traffic. I understand why you left after 8 months. It’s VERY draining. Thanks for sharing with us. I sometimes wish I was someone that was attuned to the afterlife, but I don’t know if I am or not. Some people get very affected in certain places, I see it happen, and me? I just am sort of chilling there. I’ll be honest, I never really saw anything – though with the hysteria of everyone else, I guess I THINK I did. Now, I did really despise that living room and was creeped out. Certain places gave me the creeps, but I wasn’t witness to too many occultish things like the other family members were. Ooh, ooh, ooh! I’ve been in a haunted house before, too. It was creeeeepppy. I spent the night at a house my sister was watching for a family. It was an old home in the woods of Northern California. My sister, a very reasonable, rational girl, woke me up in the middle of the night screaming. She said she heard the piano playing and a knife had been plunged into one of the doors. Don’t remember if I ever got back to sleep or what we did the next day or anything other that my screaming sister. I never, ever returned to spend the night there. Okay, that is definitely creepy and so scary! A knife in a door! OMG! I don’t think I would have stayed there another night either. Wow, that’s amazing – never thought that stuff actually happened. Creepy!! That was the very first scary book I ever read… flipped me out for months! Anytime I saw a deaf fly after that I was seriously freaked. 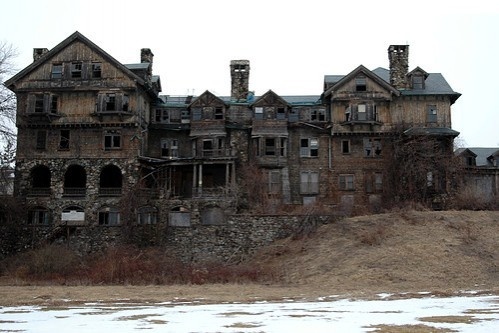 The picture looks like the old dormitory in Millbrook, NY.